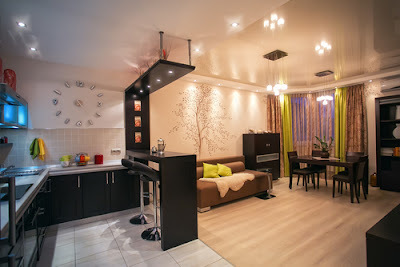 Your home is your small heaven.You have to give it the best that it deserve or else you will start hating on your very own living space. Not only should you ensure that everything is in a perfect condition but also it should be attractive to the eyes. Floors play an important role in styling up your home, in fact they are part and parcel of an overall interior design plan. One of the most common methods that people in Singapore use to style their floor is laminate flooring. In this article, you are going to learn about this flooring option and why you should consider it for your home. Just as the name suggests, lamination flooring is a flooring product which is made complete through a lamination process. Some people like referring to this method as floating wood tile and there are reasons as to why this name perfectly suits this method. The reason is that this kind of floor always feels woody. Its physical appearance looks like a type of wood that has been well polished and has been given a perfect finishing. The flooring can be designed to create different visual impacts which can match with your home's interior design. Probably you are asking yourself this question? What is laminate flooring made from? Do not worry many people ask themselves this question and they end up assuming that laminate flooring is similar to hardwood flooring. This is totally wrong, as laminate flooring is made up of totally different components. This type of flooring is constructed in different layers and each layer has its own unique component. At the very bottom, there is a layer whose purpose is to provide adequate support. The main purpose of this layer is to provide protection against moisture that could find itself up to the top layer. Above the bottom layer is the inner core layer. This layer mainly consists of high density fiberboard which has been backed up by resin. The purpose of this layer is to provide further protection against moisture elements. Its strength helps to make the floor durable. Above the inner core layer is the image layer. This layer is responsible for increasing the resolution image of the material such as wood, metal and stone. It is also the layer that is responsible for the texture of the floor and helps to give the floor a realistic look. The topmost layer in this flooring method helps to provide ultimate protection against wear and tear. It ensures that your flooring design does not fade or get scratches. Installing a laminate flooring is not a complex procedure. It only takes a few steps and the whole system will be ready in your home.This is aided by the fact that the flooring comes with several groove tongues and planks which can be easily fixed into one another. Sometimes the flooring is packaged together with glue so as to provide make it easier to install. A mistake in the installation process can result to a poorly done floor which in the end will not only affect the flooring's functionality but also will affect the general interior design of your home. To avoid the embarassment as a result of poor installation, it is always good that you seek for the services from professional laminate flooring installers. With these people, you are guaranteed of a perfect kind of job, free from any flaws. The installers have years of experience in doing this job and this is aided by high levels of technical skills. 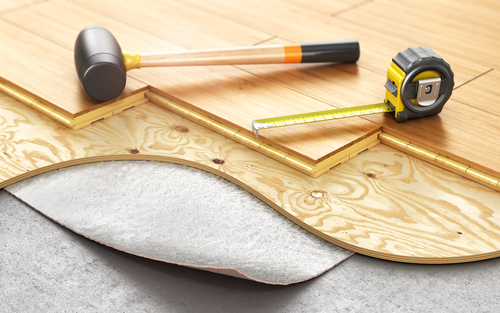 Installing laminate flooring requires different types of working tools which you may not have. Rather than going out to look for the tools, just get an installer to do it for you. • Affordability: It is the most affordable type of flooring and there is no other design that is closer to this one in terms of affordability. When we do a comparison. laminate design is comparatively cheaper than both hardwood and carpet flooring. This does not only apply when buying but also the maintenance cost is much cheaper. You will spend less resources and to maintain this flooring. This is because it does not fade and it cannot be affected by sunlight, scratches and stains. In the long-run, you stand to save lots of money. • Easy to install: This is the easiest flooring material that you can ever install. If you are a fan of DIY, then you will have a field day dealing with this kind of flooring. The main reasons for this is because you won't need special glues nor nails to finish up the installation. The tongue and groove systems are there to help you fix everything within the shortest time. Given that it is a floating floor, you can simply install it on top of another floor such as concrete or plywood. • Is attractive: Laminate flooring has got looks. You cant fail to fall in love with this flooring and inturn you will love everything about your house. Apart from looking like a real wood, it has high resolution images which can create a perfect match with the wall and roofing designs of your house. • Durable: As mentioned, the flooring is resistant to scratches and stains. It does not get damaged easily when physical pressure is applied on it. It does not fade easily when exposed to sunlight. • Susceptible to moisture damage: When exposed to water, the flooring can easily get damaged and this is because of the material that has been used to make it. • Cannot repaired: Repairing this type of flooring system can quite an uphill task. You will have to consider buying a new floor. 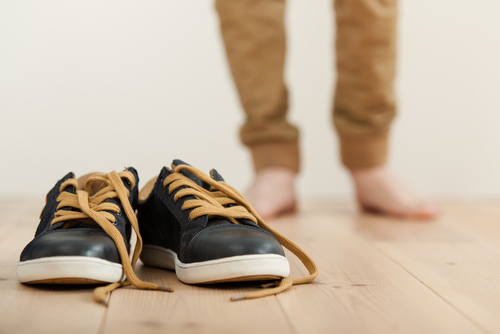 Laminate flooring should be always clean. Remove all the sand particles that have accumulated on the surface of the floor as they can cause scratches. Another safety practice about the floor is to ensure that there is no standing water on it. The flooring should be dry all the times.